Although we don't yet know much about Wii U eShop, we're continuing to hear good things about it from some developers with an inside perspective. 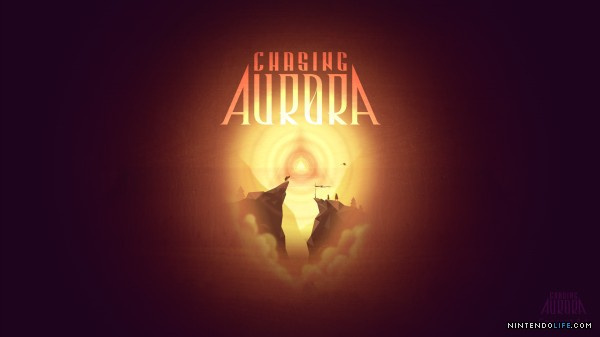 The latest to step forward is Broken Rules, which is bringing Chasing Aurora to the new system this November. When it comes to giving a comparison with the download service on Wii, Broken Rules is well-placed having brought its popular title And Yet It Moves to the service. The Wii Shop has suffered from technical limitations and issues enforced by Nintendo itself with licensing and quality control, but improvements that have been noticeable in the eShop on 3DS seem to be carrying across to Wii U, as the developer explained to Official Nintendo Magazine. There are people at Nintendo who know where innovative games come from. And if you look at the launch line-up you can clearly see that those people have had a say in it. At the same time, the Wii U with its various controller configurations calls for experimental games of all kinds and Nintendo is always eager to have games make good use of its console's innovations. After such a rocky start in download games, Nintendo appears to be gradually catching up with its competitors in terms of supporting developers and giving gamers what they want. We've got some big download developer interviews looking at this subject coming very soon to Nintendo Life, so keep your eyes peeled. Where they weren't very ambitious with WiiWare and underestimated developer's needs, they've MORE than made up with the 3DS eShop alone, and hopefully will apply these practices to the Wii U eShop. I just hope they try and ease up on their somewhat strict weekly release schedule though. It often feels like more stuff could be coming out when it's not, even if they are just Virtual Console releases. Tear down that minimum sales (to get paid) wall, Mr. Iwata! Yep, I noticed this when VVVVVV came to the Store. As long as they keep the same amazing tune from the Wii shop! If it works this is excellent news so the Wii U won't have many droughts if indie developers will support the Wii U. Really wish I could get it at launch. I'll believe this when I see it. eShop was meant to be an improvement, too, but it's improvements were so small that Nintendo managed to lose ground on the competition. I mean, the Vita has the freaking PSN and PSPlus! eShop gets like, one dinky little download game a week, and one Virtual Console release. No premium service, either. Judging from the 3DS eShop you knew WiiU would be an improvement over the Wii. Heck even without 3DS it would have to be an improvement, the Wii is horrible. I'll never understand how I had to go into the Shop Channel to see what new games were on sale but then go into Nintendo Channel to see trailers for the games. I really thought after a few years they would combine those 2. Oh, so sales figures mean quality now? Didn't Toshiba discontinue its tablet business? @Grandmasterhack I agree. There are a lot of great eShop titles available. It's much better than WiiWare, in my opinion. That's not to say there are no good WiiWare titles. This is nice but I'm waiting till I see it for myself. Yeah, I only recently saw a video showcasing the type of "indie" stuff that makes it onto XBox Live, and it was pretty disgraceful. Even the worst of WiiWare's catalog far outclassed some of the things I saw. It changed the way I think of shovelware! With the good stuff, you're gonna get shovelware. It's only logical that with more good stuff you get, the more shovelware you get. We'll call it the Law of Software or something. I'm more excited for the Wii U's eShop games than any of the launch, or "launch window" games. True story. Like @Waltz I'll wait and see, but I've faith in Nintendo that they can pull this off.